Super Shawarma is a family owned Lebanese restaurant that offers authentic Middle-Eastern Lebanese food. Located in Kitchener, Highland Hills Mall opposite of Real Canadian SuperStore. At Super Shawarma we give our customer’s number priority and put customer satisfaction at the top of our list by providing the best quality food, a clean and sanitary environment and the best service in town. It’s not just another Shawarma Wrap, with our diversified in-house Lebanese cuisine we tailor each food item to fit our customer needs. Our Lebanese cuisine recipes brings the finest authentic taste of Lebanon food to local Kitchener / Waterloo community and businesses. Whether it is Chicken Shawarma Wrap, Shish Tawook, Hummus, Kefta Kabob, Falafel or Fattoush each item on our menu is made daily with fresh ingredients, condiments, and finest blend of spices and marinades keeping our customer’s health at top priority. 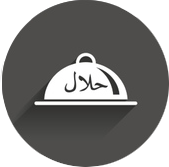 Visit our Menu page to view the array of true Lebanese dishes such as Entrées, Wraps, Salads, Dipping Sauce, Side Orders, Beverages and many other seasonal delicacies on regular basis. At Super Shawarma, we invite everyone, their families and friends to come down to our location for taste of our fresh authentic Lebanese Food. We do dine-in, take-outs, delivery and catering. Call 519-954-2000 for more information.